May 18, 2018 / Modified may 21, 2018 11:33 a.m. 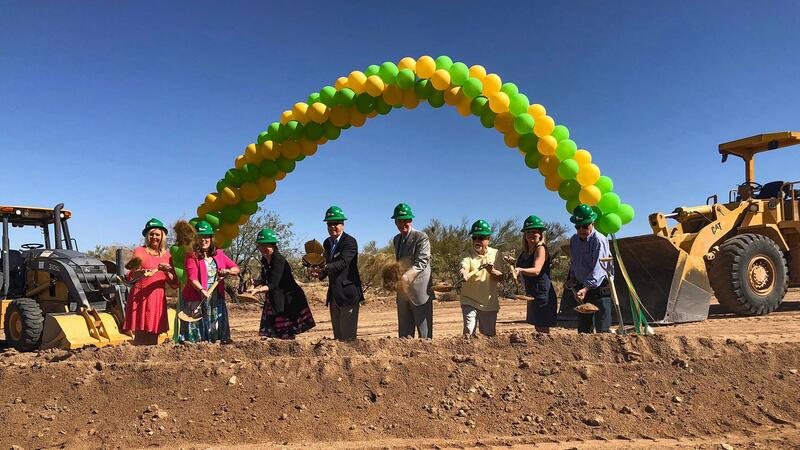 The Marana Unified School District breaks ground on its new K-8 CSTEM school in Dove Mountain. School districts all over Arizona are deciding how money from the state budget will be used for teacher pay raises. So far, Marana, Sahuarita and Altar Valley school districts are giving teachers more than the 9 percent raise the state planned for. Gov. Doug Ducey signed a budget earlier this month that calls for a 9 percent teacher pay raise. The move came amid a statewide teacher walkout to demand more education funding. Sahuarita and Altar Valley School Districts are giving teachers a 10 percent pay raise. Marana Unified School District is giving all teachers and support staff the same raise of 10 percent. Tom Carlson, president of the district governing board, said it was made possible through a 2014 voter-supported bond. "We were able to take that additional funding and devote it to salaries, as opposed to diverting it to facilities or other infrastructure-type projects," Carlson said. "Everyone is going to benefit from this." Carlson said the board's decision to give all district teachers and staff a 10 percent pay raise could help with concerns about hiring employees for a new school. VIEW LARGER The concept for the K-8 school being built in Dove Mountain. Last month, the Marana school board grappled with whether to close Thornydale Elementary. During that debate, the district told teachers they could be transferred to a new school, for which the district broke ground in Dove Mountain Friday. The board ultimately voted to keep Thornydale open, leaving board President Tom Carlson worried about the job security of all district employees. "With Thornydale remaining open, it is going to be a bit of a challenge, but it's not something we haven't talked about," Carlson said. The district considered closing Thornydale due to low enrollment. Board member Dan Post thinks the Dove Mountain school will have the same issue with enrollment. "I don't think we really need a school in Dove Mountain yet. I don't know where we are going to get the kids from," Post said. "I hope we haven't spent $25 million building a school that is going to be less in capacity." Superintendent Doug Wilson doesn't see enrollment as a problem for the new school. "We believe that based on the conversations we had with our community and outside the community that we will probably reach that capacity quicker than we anticipated," Wilson said. 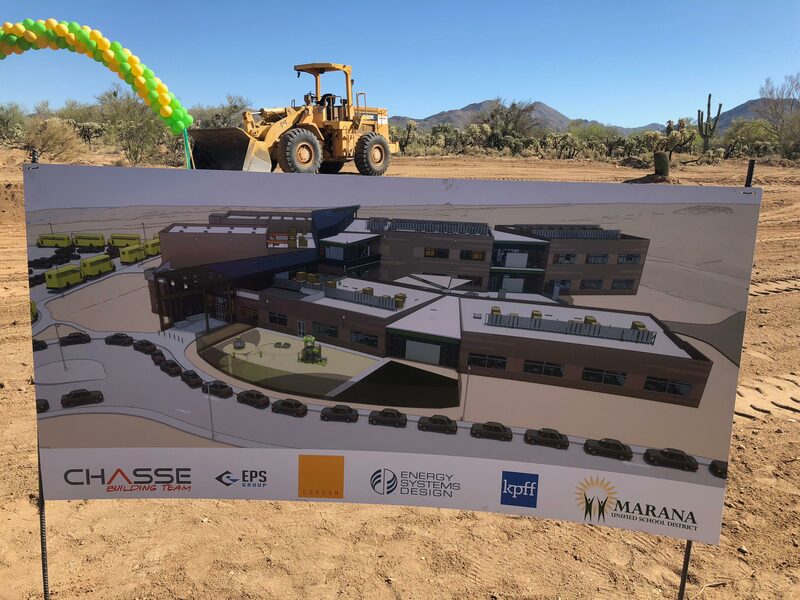 The new school in Dove Mountain is the first K-8 in the district and is scheduled to open fall of 2019. Students will be able to experience Computer Science, Technology, Engineering, and Math (CSTEM). Wilson said the design of the two-story building has a capacity for 750 students and is able to be extended so that the capacity could reach almost 1200 students if the need is that great.